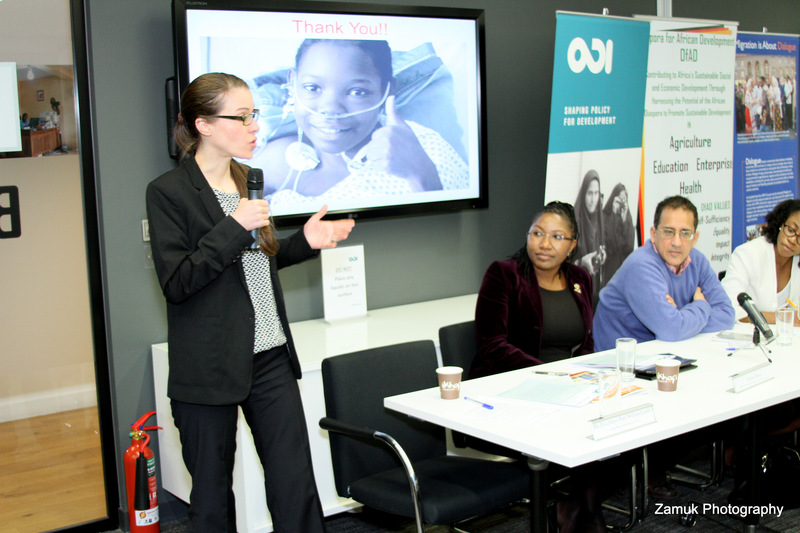 On Wednesday 30th April 2014, Diaspora for African Development (DfAD) held a launch event for the DfAD 2014 Report “Zambia at 50 Years: Engaging the Diaspora in Inclusive Development” at the Overseas Development Institute (ODI), London. The report was published following the successful DfAD Zambia Roundtable discussion event, with the same title, held in partnership with the International Organization for Migration (IOM) and Diaspora Support Initiative (DSI) Zambia in February 2014 at the Olympic Youth Development Centre (OYDC) in Lusaka, Zambia. 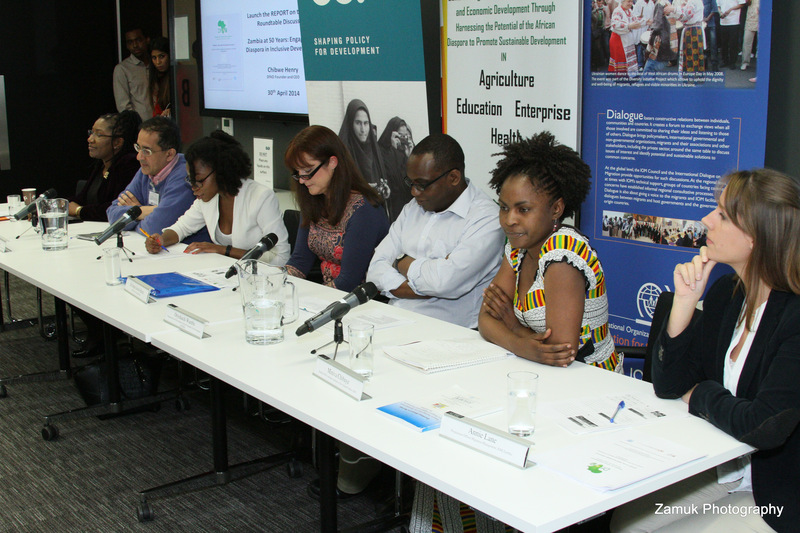 The roundtable was convened to explore how Zambia could best realise the development potential of its diverse diaspora, and also, to find out whether there was parity between the status of Zambia’s Diaspora debate and current global perspectives. The report being launched reflected the proceedings of that Roundtable meeting. Representatives of the Diaspora, academics, policymakers and practitioners from both the civil society and private sectors attended the event, including the UK Government’s Department for International Development (DFID) Zambia office. CEO, and guest speakers. Mrs Henry gave an overview of the Roundtable event that was held in Zambia and the key recommendations that were made by the participants. Hard copies and CDs of the Report were available for the participants to take away, compliments of IOM UK. 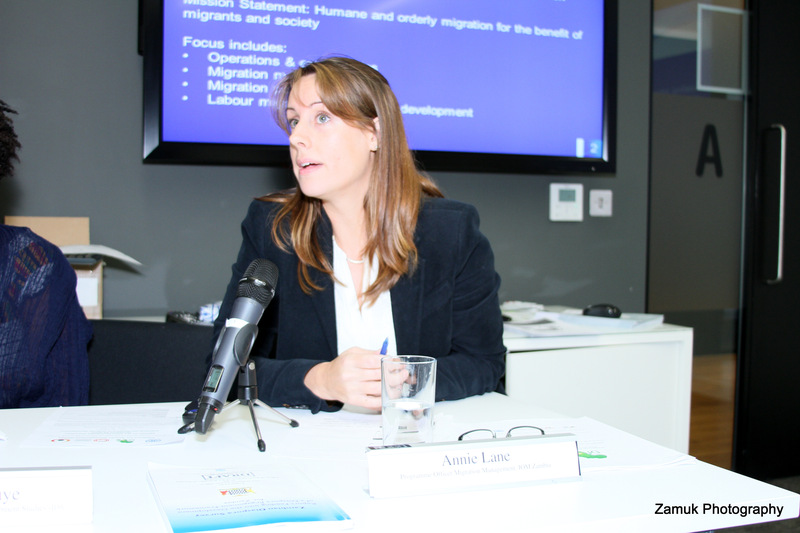 The first guest speaker was Annie Lane, Programme Officer Migration Management, International Organization for Migration (IOM) Zambia. She gave an overview of the work carried out by IOM in Zambia, including the Zambia Diaspora Survey which was conducted in 2010 with the intended outcome of feeding into the Development of a Diaspora Engagement Framework for Zambia. The next guest speaker was Onyekachi Wambu, Engagement and Policy Director, African Foundation for Development (AFFORD). Onyekachi gave an overview of the work that AFFORD does. AFFORD has over the years raised awareness of the need for diaspora engagement and its impact on development and the continued need to carry on raising the profile of Diaspora engagement – “Power concedes nothing without demand”. 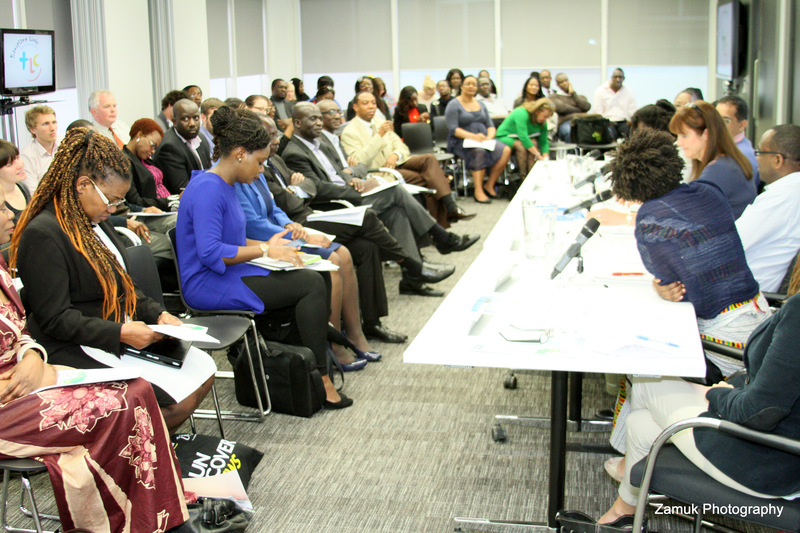 As a pioneering African Diaspora organisation in the UK, AFFORD has facilitated the capacity building of other African Diaspora Organisations and individuals, of which DfAD is one. Siddo Deva, Grant Manager, Common Ground Initiative (CGI), Comic Relief, spoke next about the CGI programme. He emphasised the need for purposeful diaspora engagement in international development, and especially the promotion of positive engagement with the diaspora. 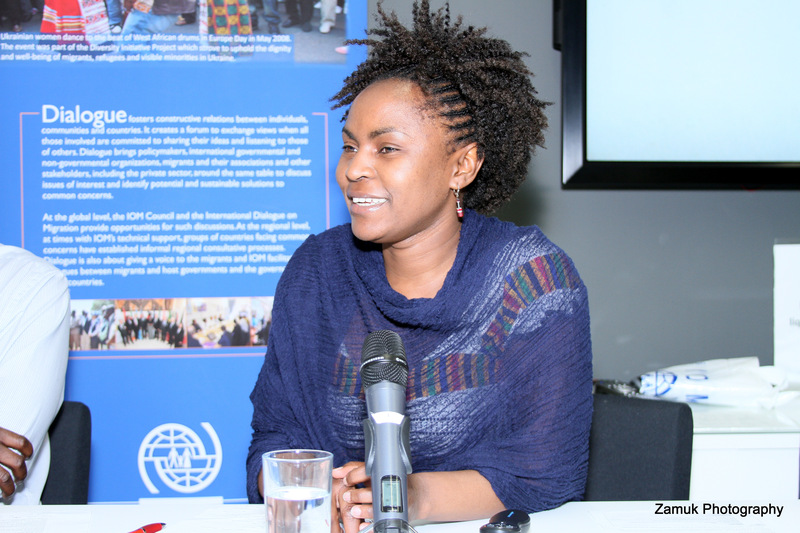 Following Siddo, Miniva Chibuye, Zambian PhD candidate at the Institute of Development Studies (IDS), discussed the challenges faced by students in the diaspora and the potential contributions they can make to development back home. 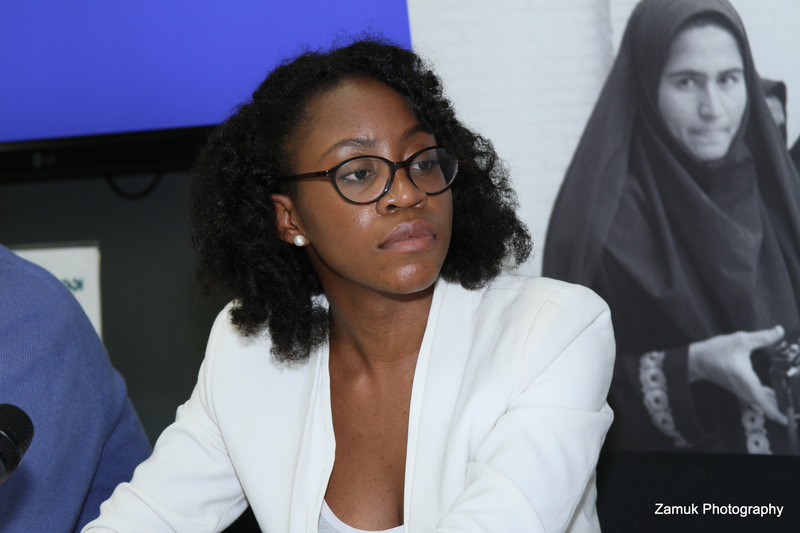 She raised a pertinent point about how having structured international student inductions, facilitated by the Zambian Diaspora in the UK, could enhance the students’ ability to contribute. The final guest to speak on the panel was Dr Jennie Jewitt – Harris, Chief Executive, TransplantLinks. Jennie gave an overview of the work the charity does and the successful Transplant programmes that they have carried out in various parts of the world. She also informed the audience of Transplant Links’ plan to establish a Kidney Transplant Centre in Zambia, which they where currently actively looking for support and sponsorship for, and also discussing with DfAD. She made a call out for anyone interested to get in touch. 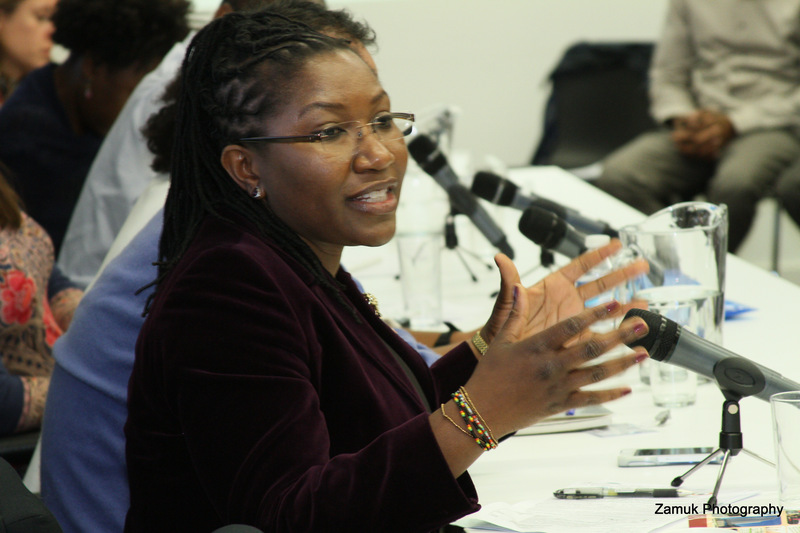 View the DfAD 2014 Report here: “Zambia at 50 Years: Engaging the Diaspora in Inclusive Development”. Following all the engaging presentations by the panellists, the floor was opened to the audience for the Question and Answer (Q&A) segment covering the variety of topics discussed earlier from the role of China in Zambia to the process of successfully engaging government bodies in dialogue with the diaspora. Negroes Dube, DfAD Board Chairperson then gave the closing remarks. 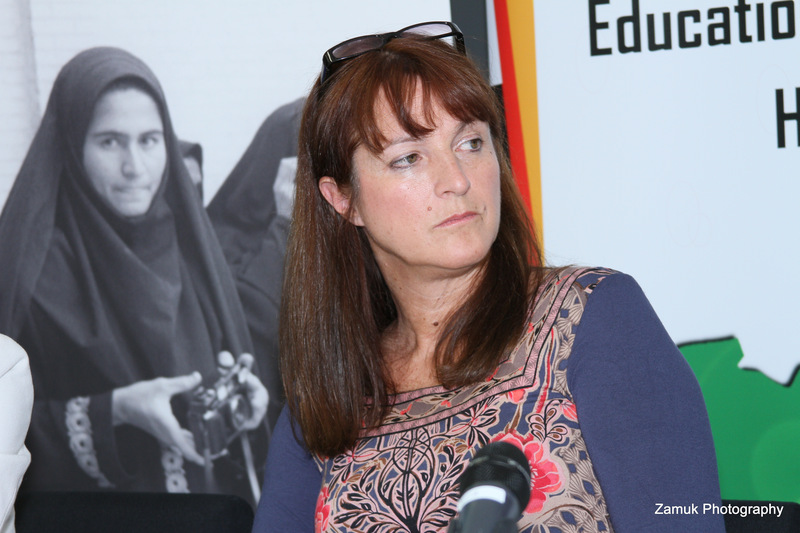 However, before moving on to the Q&A session, we were privileged to hear a short presentation from Maria Quattri, Research Officer supporting the Executive Director at the Overseas Development Institute (ODI). Maria gave an excerpt from the latest ODI April 2014 report: Lost in intermediation – How excessive charges undermine the benefits of remittances for Africa, by Kevin Watkins and Maria Quattri. The report urges governments to increase competition in money transfer remittances and to establish greater transparency on how fees are set by all market operators. 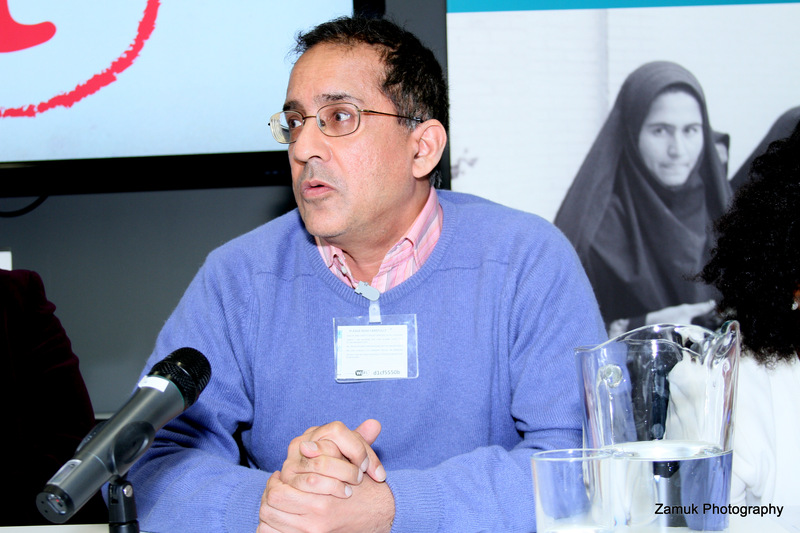 The DfAD 2014 Report was on 13th May 2014 presented in Stockholm, Sweden, at the Global Forum on Migration and Development Civil Society Days 2014 (GFMDCSD). Chibwe Henry, who was invited to the GFMD 2014 as a discussion starter, spoke on the panel which covered Session 3.B: Facilitating migrant and diaspora organizations as transnational social investors and policy advocates for access to services and public policy changes. In conclusion, this successful launch event was a key milestone for the work DfAD is undertaking towards the attainment of our Vision; for African Diaspora to have greater involvement in Africa’s development and for us to gain wider recognition for the various ways in which we contribute to Africa’s sustainable social and economic development, in both our countries of origin and destination. DfAD would like to thank the guest speakers and the participants, most who braved the tube strike in order to attend, for coming to support the DfAD 2014 Report Launch event. We would also like to thank all our sponsors and collaborating partners for helping to make this event a reality; Diaspora Support Initiative (DSI) Zambia, Olympic Youth Development Centre (OYDC) Zambia, the International Organization for Migration (IOM) UK and Zambia, and Comic Relief’s Common Ground Initiative (CGI). 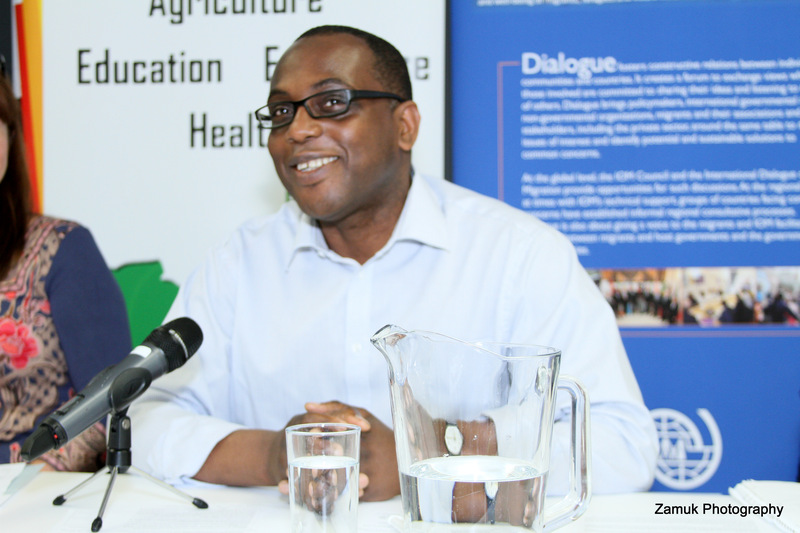 Click here to see approximately 123 pictures from the Zambia at 50 Years: Engaging the Diaspora in Inclusive Development Report Launch event on 30th April 2014 (feel free to download and use the pictures. If used publicly, thank you for crediting DfAD). For further information contact us by e-mail. No Comments to "DfAD 2014 Report Launch"